Getting Solar Panels in Alhambra: What Are Your Options? Alhambra, down in Southern California in the Los Angeles metro region, is a small city with about 85,000 residents. Being in Los Angeles, car dealerships are one of the largest contributors to the local economy. And while auto manufacturers are moving towards greener solutions, there is still a lot of fossil fuel powered cars. How can Alhambra increase its green score? By installing more solar powered energy systems, and you can help by adding a system to your own home. With Los Angeles receiving an average of over 3,250 hours of sunshine a year, 73% of all sunshine hours possible, Alhambra is set for great solar energy capture from our nearby star. The sun is a giant nuclear reactor. This monster, which simply isn’t possible on earth, sends more energy to the surface of the Earth in a couple hours than worldwide energy consumption in an entire year. Our energy needs are increasing, certainly, but the sun can provide a very significant portion of that energy without causing significant carbon contributions. 100% efficient solar panels are not a requirement – which is an engineering impossibility anyway – but solar energy production is becoming accessible, even for the individual. Elon Musk, the man behind Tesla Motors, Space X, and various other futuristic companies, has announced his company can produce modern, attractive solar roofs cheaper than a regular roof (of course depending on roofing material). This is based off the Swanson Effect (see above graph). The effect is named after the solar panel manufacturing company founder Mr. Richard Swanson, and it states that the more solar panels sell, the cheaper they will be. 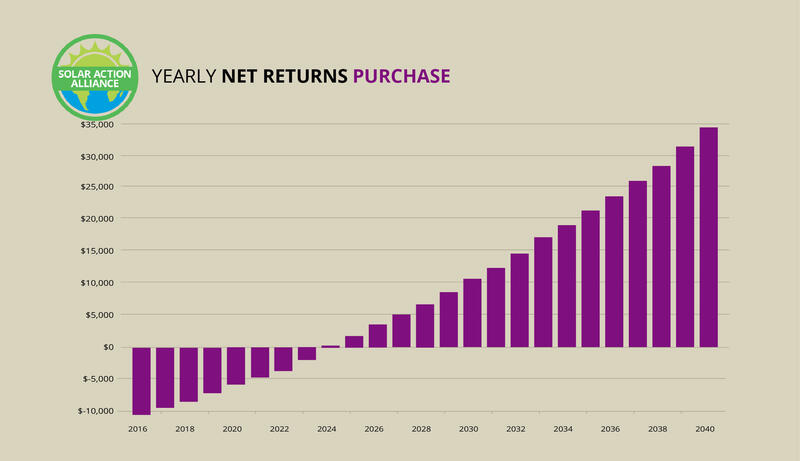 The idea is that as companies take in more revenue, they will be able to pour more money into research and new competitors will enter the market, both of which drive down the price. The effect has been proven, as solar prices have plummeted in the last few years and will continue their downward drive. 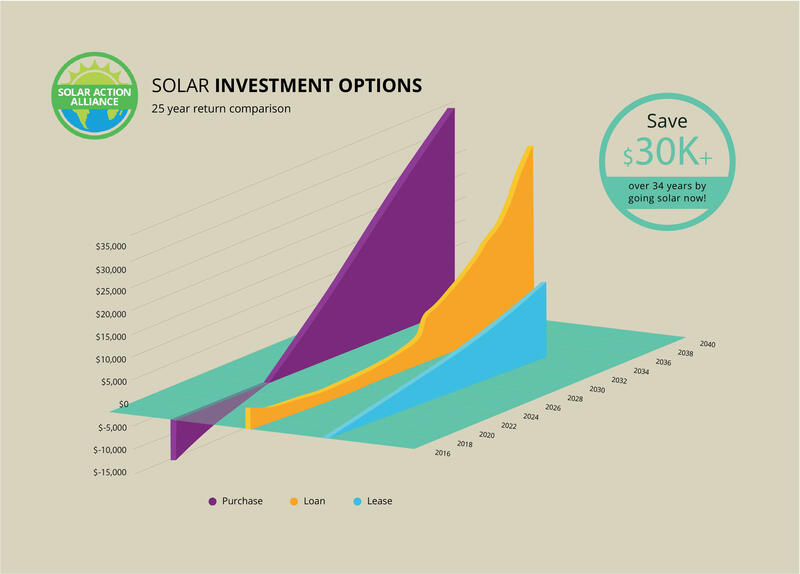 A typical 5kW solar system will cost about $20,000. That may seem like too large a capital outlay for the average individual household, but there are various ways to finance the project. First, it doesn’t matter where you live, but the federal government will give you a tax credit of 30% on any new installations, assuming they are installed by the end of 2019. This means you can think of it more like $14,000. That money does not simply vanish into nothingness, either. You will be able to take the increased $20,000 worth of equity on your property to market, but California allows you to exclude that $20,000 system from your property taxes. This exemption is known as the Renewable Energy Systems Property Tax Exemption. Note major exceptions are solar heating systems for pools, and if your system will also tap energy from the grid, the credit is only 75% – just another reason to go fully solar. Alhambra is hot year-round, requiring air conditioning, and you may even use the power for a small business out of your home. This can all be supported by an appropriately sized solar system, and you will eventually reap the benefits of the not having to rely on fossil fuel power generated by some utility company with little interest in your economic well-being. What exactly is your ROI? That depends on how you finance your system. The three ways to finance are in full with cash, using credit, and leasing the panels. So if the $20,000 figure seems too high to overcome for you, even after the government incentives, you may still be able to install a system using one of the financing plans. Also don’t discount that, unlike less progressive states, California requires energy companies to purchase all your excess production. So, if you yourself are energy-light, you may still produce enough energy to even turn a profit. In that case, your time to generating a profit from your system is even less. If you use almost no energy and have a large area you can install on, you might even be able to make consistent extra cash. Cash is the simplest way to finance the project. You will need to put up the whole amount yourself (unless you work with more than one option), and if you have this amount of money available, this is the way to go. You will own the system from day one and have no interest to pay. You can keep or sell the panels at your discretion. You also immediately start to reap the benefits of saving energy from the power company. If you save $1050/year on energy costs, you could start to see your system pay for itself in just a little over 10 years. If you run an energy-intensive household or are a small individual business owner, you could save significantly more than that if you are using the energy from your system to power some of your equipment. Further, since California requires utilities to buy back power, you could reduce your time to payback significantly. Credit means taking out a loan. You may even have the cash but you would rather do something else with it or simply hold on to it for emergencies. 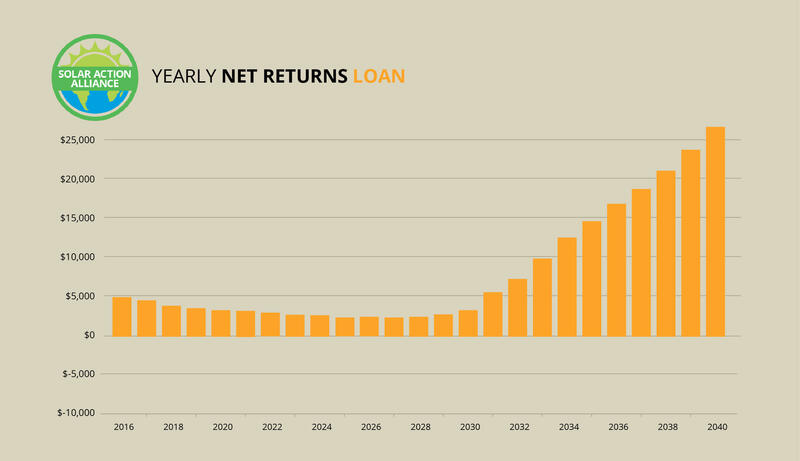 You will need to talk to your preferred bank, but in California there are several banks specializing in loans specifically for solar installations. Fill out the form at the top or bottom of this page to find out more. You may already work with one of the banks. Another perk is the interest is tax deductible, so there is another government incentive to install a system. Once the loan is paid off, you will own the equipment and can sell it or continue using them as you wish. 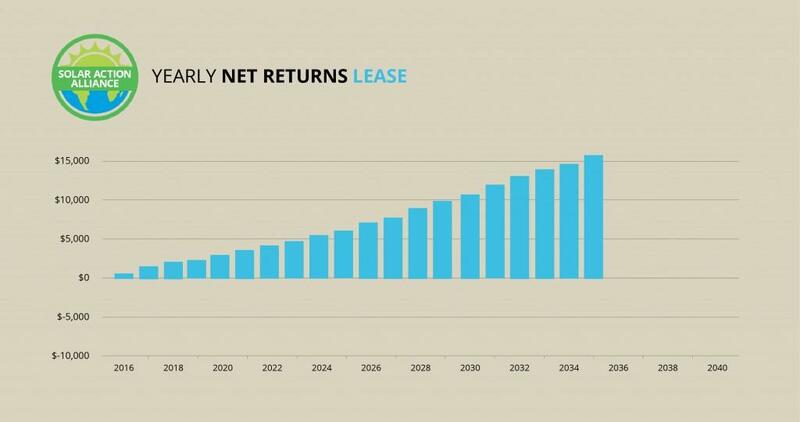 Leasing the equipment is like when you lease your car. You do not own the equipment and will have to return it later. Once the lease expires, you can renegotiate the terms or give the equipment back to the lessor. However, you will not receive tax credits or rebates on the panels, as you are not the legal owner. One major advantage, though, is that the company you lease from may offer services for maintenance, but do not use this as your deal breaker – generally these systems require very little maintenance. You also do not need to put up a lot of capital upfront. 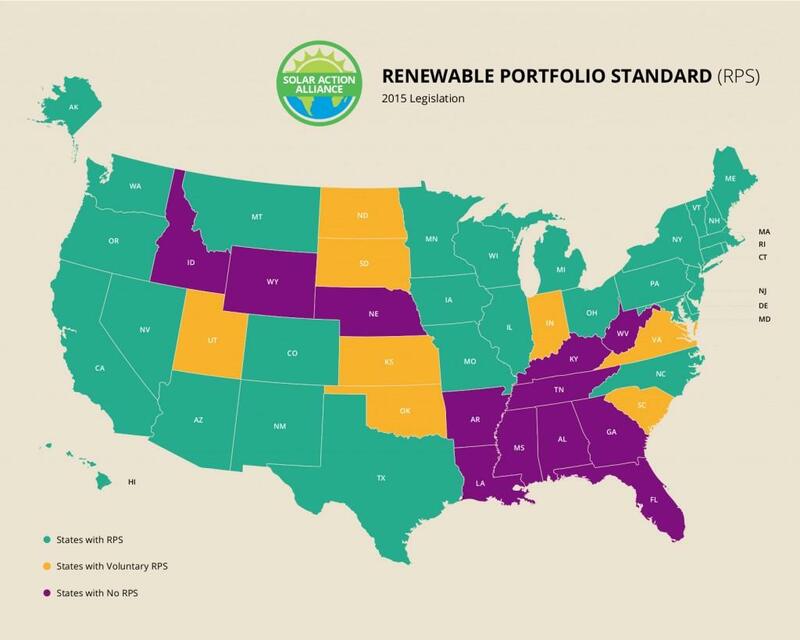 The Renewable Portfolio Standard (RPS) is a state’s commitment to introducing renewable energy sources. Government claiming a desire to increase renewables and actually doing it are different things. This measure gives an idea of how serious the state government is in helping its citizens and itself achieve fossil-fuel energy independence. The higher the number, the better, as it means more incentives for companies to help you. California is a very progressive place, and the State expects renewables to account for 33% of energy production by 2025 and 50% by 2030. Those utilities that do not achieve this must pay high fines. Not only does that incentivize you to produce your own energy (in case the utilities pass that new cost on to you), but it gives them an incentive you buy your energy to avoid the fines. If you live in Alhambra, or really anywhere in California, you have a great opportunity afforded you by the legislature to go solar. California is a huge solar energy producer and furthermore a large employer in the renewables field. The state can boast the highest level of employment at over 53,000 jobs according to the most recent energy overview release from the Office of the Governor of Texas. Yes, Texas admits California is better at the renewables economy. California, being such a sunny state, offers largely amicable conditions for solar. Alhambra sits in one of the most amicable areas of the entire state, generating over 5kWh per square meter per day. Your roof may only be a few square meters, but if you live in Alhambra, you are in one of the best places in California to make the most of your roof’s surface area. Furthermore, the price of solar modules has been gutted from a high of around $3.50 in 2008 to about $1.15 in 2012 and the price will continue to fall. 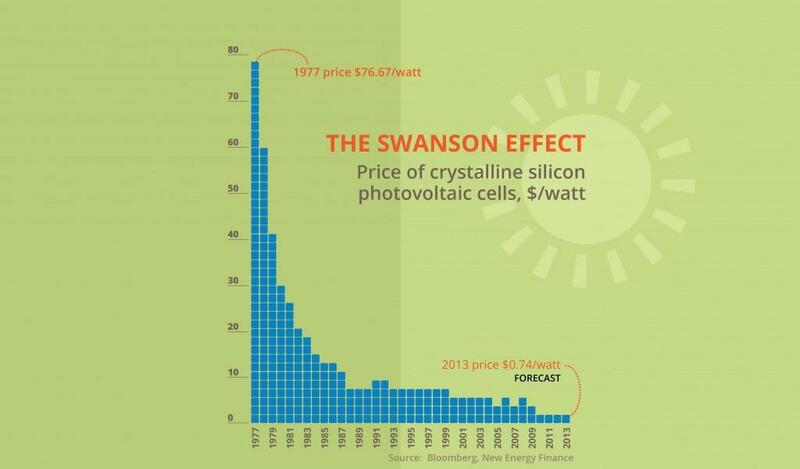 The Swanson Effect will continue. Not only will you save money on your electric bill, you will be a participant in protecting the environment. If this motivation isn’t enough, you will become more energy independent and rely less on a company that may raise prices unexpectedly. Californians do not kindly remember Enron, but with your own solar system, you won’t need to even think about such an incident. And although the weather changes, long-term trends show Alhambra to have a lot of sunshine, and the sun will power itself for another few billion years. It will balloon and swallow Earth before it stops generating energy. For those days that are less sunny, a very rare occurrence in Los Angeles County, or at night, you may consider installing an energy storage system. One way to store energy is by infusing the heat into water. Don’t forget heating your pool, though, is not considered for government credits. Charging refrigeration systems during the day (while there’s electricity production) may also be an option as technology improves. Of course, battery technology is also advancing and in the near future you may be able to power your place throughout the night without needing external power. 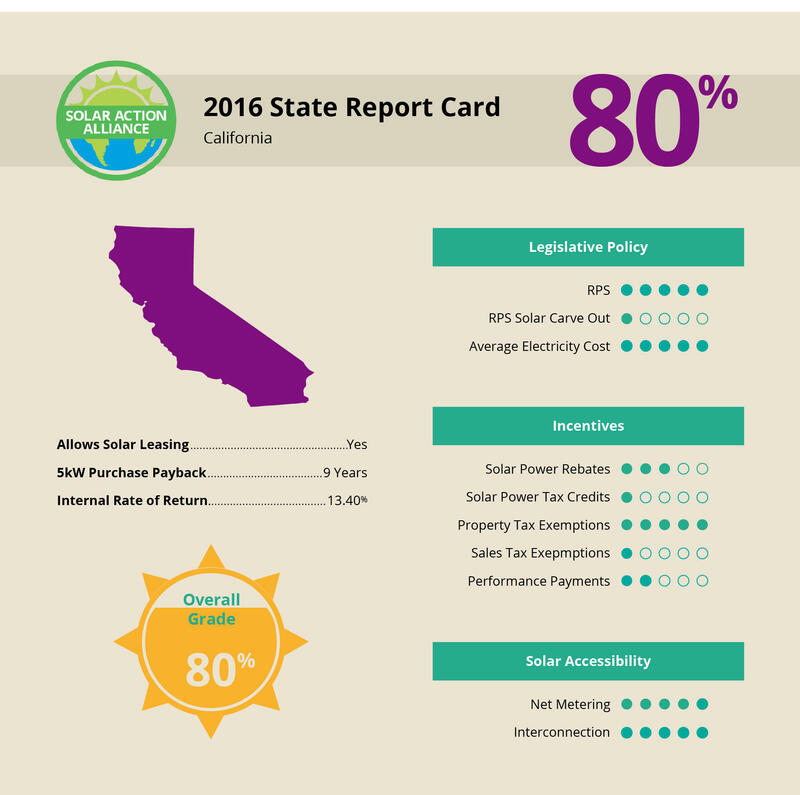 What Is California’s Overall Solar Rating? California is a great place to go solar. The culture, government, and economy all support renewable energy, and Southern California, where Alhambra is located, is a solar hotspot. The State has high energy prices but also offers great legislative options to help you finance and even sell your excess power. The enacted RPS is very high, incentivizing companies to pay you instead of the other way around. If you can and have the desire to reduce your carbon footprint while becoming energy independent, consider installing a solar energy system. Alhambra itself is a great place for solar installations, with the high average sunshine hours a day and the high temperatures, meaning you will be using a lot of energy to cool your home. Alhambra is certainly in a good location, if you have the financial capacity (for which you can find assistance), to install a solar system into your own home.